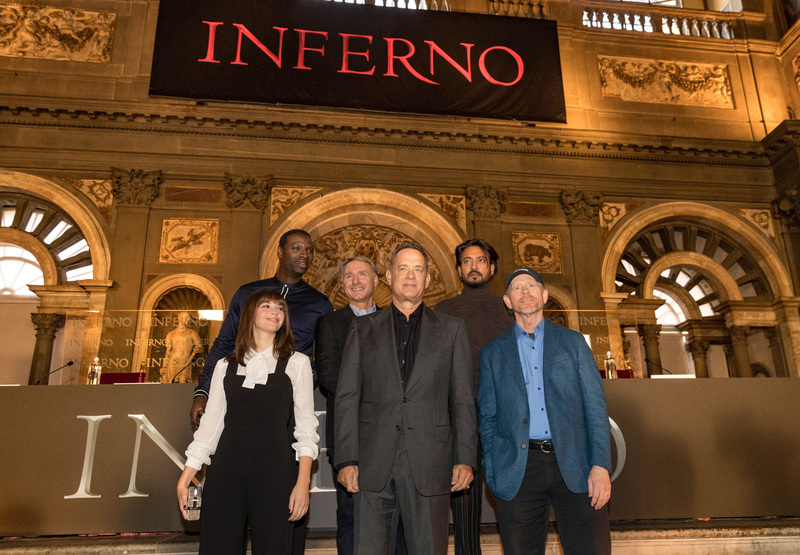 Tom Hanks, Ron Howard and Felicity Jones lead the cast and filmmakers of Columbia Pictures' Inferno for the world premiere and press conference in Florence, Italy. 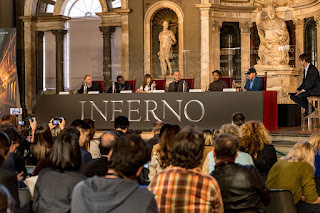 The Hollywood A-listers participated in a press conference Thursday, Oct. 6, in the Palazzo Vecchio’s Salone dei 500, with fellow Inferno team members in attendance: actors Irrfan Khan and Omar Sy, as well as author Dan Brown. 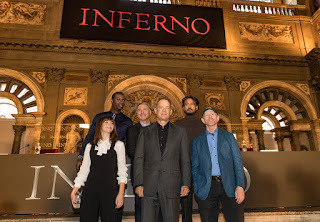 On Friday, Oct. 7, the cast will be guests at Forte Belvedere for a special photo call together with photographers and journalists from the international press. 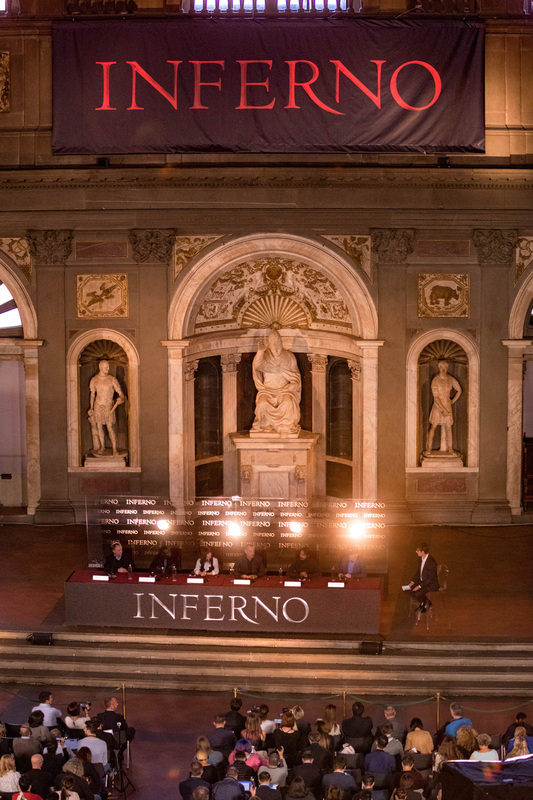 The big day for the world premiere is scheduled on Saturday, Oct. 8 at the avante-garde Florence Opera House (Teatro dell’Opera) with the cast and filmmakers expected to grace the red carpet. Earlier on Wednesday night, Oct. 5, the four-day Inferno events kicked off when the film's trailer was projected onto the river in front of the Ponte Vecchio. This kind of projection has never been seen before in Italy: a massive jet of water used as a screen forming a mist on which the trailer was shown every 20 minutes.